Ionic lets web developers build, test, and deploy cross-platform hybrid mobile apps easier than ever. The Cognex Mobile Barcode Scanner SDK for Ionic includes iOS & Android platform support. 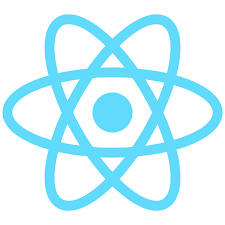 React Native combines smoothly with components written in Objective-C, Java, or Swift. It's simple to drop down to native code if you need to optimize a few aspects of your application. It's also easy to build part of your app in React Native, and part of your app using native code directly. The Cognex Mobile Barcode Scanner SDK includes iOS & Android React Native support. With a C#-shared codebase, developers can use Xamarin tools to write native apps with native user interfaces and share code across multiple platforms, including Windows and macOS.. The Cognex Mobile Barcode Scanner SDK Xamarin component C#/.NET library includes support for both iOS & Android platforms.